Mina vänner och jag stannade här månader innan stängningen. Rummet som vi hade var rymliga, även deras badrum som jag gillar mest. Personalen och deras gästfrihet var utmärkt. Jag kan komma igen nästa gång. Gästfrihet när den är som bäst! Do u offer airport transfer and Hm? Good Day, Mcklvoebag K! Yes, we do offer airport transfers. Please contact our social media team on our official Facebook page, so they can properly assist you with your request. Thank you, and see you soon! Good day, chipmunk1010! 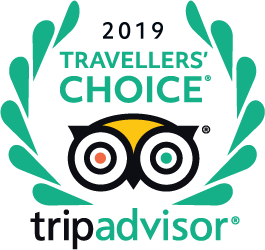 Thank you for choosing to book with us! Please contact our social media team via our official Facebook page, so they can assist you with your inquiry. We hope to see you soon! what is the rate for breakfast buffet per head? Good day, Lhora V! Our breakfast buffet is priced at 650Php per person. We hope this clarifies your query. Thank you! Hi there, my name is Naihma Casicas. Is Astoria Boracay now open after Boracay's closure last year? It’s the end of February and this hotel is still undergoing renovations. The phone systems are also down so make sure you bring your cell phone if you want to order room service. May we have reservation the room from Dec 25 to Des 29 ( 4days)? We are 4 people. ( 2 adult and 2 children - 4 & 10 years old.) Please let me know the amount of room reservation for 4 days. Good day, q0dlsdhr! Kindly contact us on our official Facebook page, so our social media team can properly obtain your details and forward that to our reservations office. Thank you, and we look forward to having you!